It is involved in regulating the correct balance of electrolytes and fluids in the cells and bodily fluids, which is important for normal blood pressure regulation; it is necessary for metabolizing carbohydrates and protein synthesis; it helps transmit chemical messages between nerve cells and muscle contraction; it aids in food digestion; it helps keep the eyes functioning properly; it helps control heartbeat and regulates heart function; it is needed for nucleic acid synthesis; it converts glucose into glycogen, which results in muscle fuel; it is needed for muscle growth and brain function; it aids in kidney function; it helps the lungs to eliminate carbon dioxide; and it is needed to maintain acid and alkali balance. Potassium is used to treat and/or prevent low potassium levels, irregular heartbeat, heart attack, high blood pressure, stroke, menopause symptoms, infant colic, allergies, headache, acne, confusion, arthritis, blurred vision, chronic fatigue syndrome, colitis, constipation, dermatitis, bloating, fever, gout, insomnia, irritability, muscle weakness and stress. Potassium-rich foods may help prevent osteoporosis. Hypokalemia, or low potassium, is treated with potassium. Its symptoms include irregular heartbeat, lack of energy, muscle cramps, stomach disturbances and weakness. 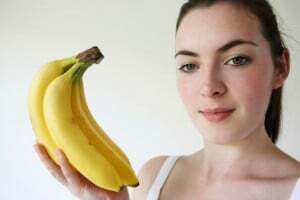 It is usually caused when the body loses too much potassium through the urine or intestines; it is rarely caused by the lack of potassium in the diet. Potassium is mainly excreted via the kidneys, so people with kidney disease may have lower potassium levels. There are other factors that can increase the amount of potassium that your body excretes, and they include taking antibiotics and diuretic medications; drinking excessive caffeinated drinks, coffee and tea; diarrhea; sweating and vomiting. An adult’s daily recommended dosage of potassium ranges from 3,100 to 4,700 mg. If you want to learn more about potassium, contact Dr. Herrmann at Assure A Smile to talk more about your potassium dosage. Sources: Where Can I Find Potassium? Food sources of potassium include apricots, avocado, bananas, beans, beef, beets, cantaloupe, cauliflower, citrus fruits, chicken, cod, dates, flounder, lima beans, oranges, spinach, peas, potatoes, prunes, raisins, salmon, strawberries, tomatoes, turkey and watermelon.